Rheinbraun runs a private railway operation to transport lignite from the open-pit mines to the power plants. The system uses a larger than standard loading gauge and electric traction. You can take a look at some non-railroad related pictures of their operations in the Industry/Coal Mines galleries. 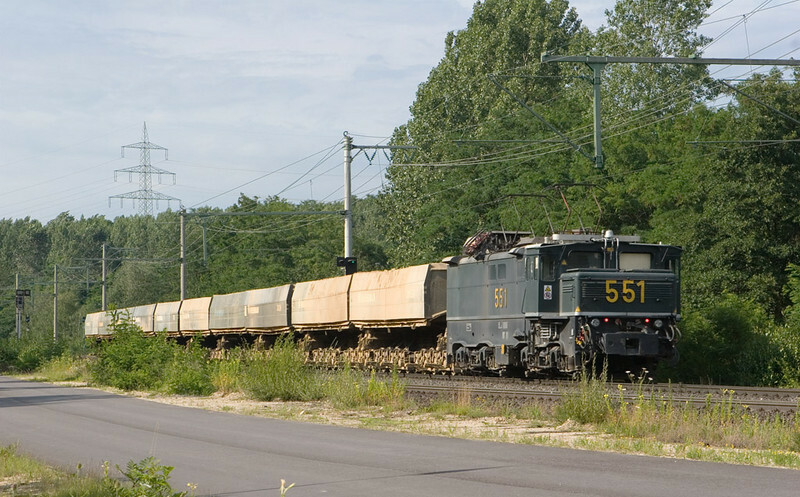 An overburden train powered by unit 551 departs the loader at Gustorf.